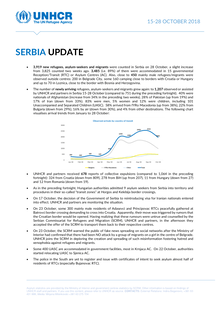 The number of new refugees, asylum-seekers and migrants in Serbia on 14 October was 3,825, compared to 3,905 counted two weeks ago. 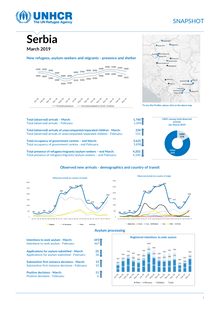 Of those, 3,338 (i.e. 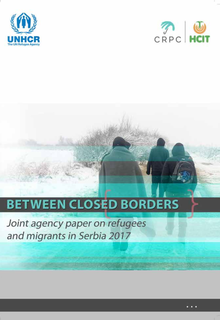 87%) were accommodated in 15 governmental Reception/Transit (RTC) or Asylum Centres. 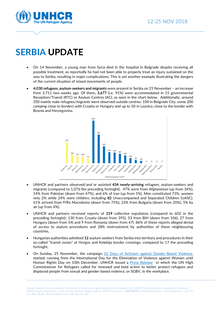 Also, close to 500 mainly male refugees/migrants were observed outside the centres: 200 in Belgrade City, another 200 camping close to borders with Croatia or Hungary and up to 80 in Loznica, close to the border with Bosnia and Herzegovina. 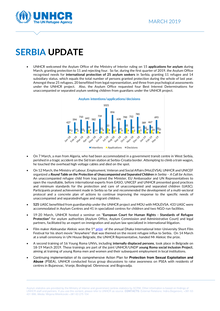 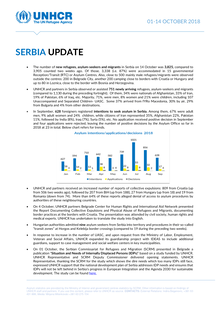 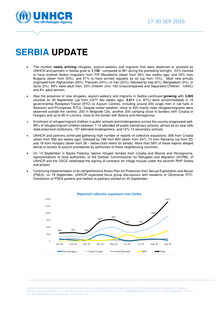 The number newly arriving refugees, asylum-seekers and migrants that were observed or assisted by UNHCR and partners in Serbia grew to 1,130 - compared to 961 during the preceding fortnight. 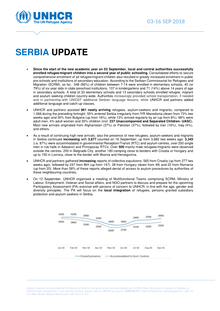 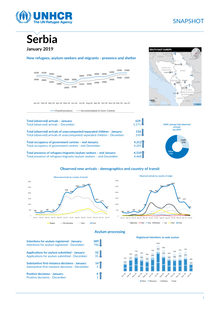 53% claimed to have entered Serbia irregularly from fYR Macedonia (down from 55% two weeks ago) and 20% from Bulgaria (down from 30%), and 21% to have arrived regularly by air (up from 13%). 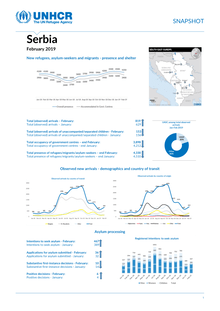 Most new arrivals originated from Afghanistan (26%), Pakistan (24%), or Iran (23%), followed by Iraq (6%), Bangladesh (3%), or Syria (2%). 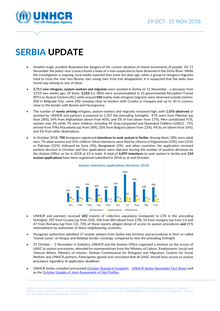 69% were adult men, 23% children (incl. 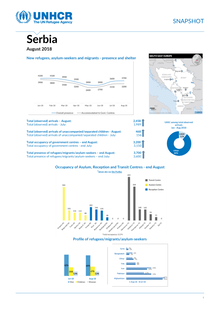 Since the start of the new academic year on 03 September, local and central authorities successfully enrolled refugee/migrant children into a second year of public schooling. 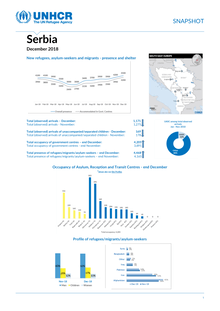 Consolidated efforts to secure comprehensive enrolment of all refugee/migrant children also resulted in greatly increased enrolment in public pre-schools and institutions of secondary education. 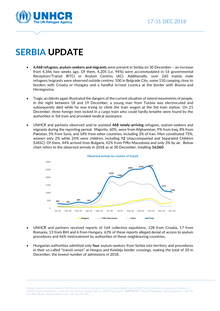 During the massive influx of refugees and migrants in 2015, Serbia was mainly a country of transit on the route to European Union for the several hundreds of thousands fleeing war and persecution. 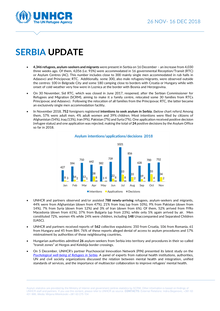 Even after the EU-Turkey Statement in March 2016 and de facto closure of the borders along the so-called Balkan route, the perception of those that remained stranded did not change and Serbia was still not considered as a destination country by most refugees and migrants, even though transit became ineffective and drastically prolonged compared to 2015 and early 2016.